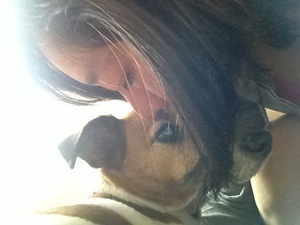 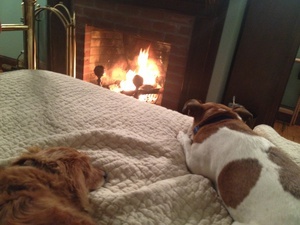 Bailey and Colby napping by the fire last weekend at Inn at the Oaks in Eastham! It was a little cold and windy, but they got to go to all the beaches in the area!! Little sunshines in the middle of "winter"
She's a messy eater and her parents came up with this brilliant idea!